The British Grand Prix was a race of missed opportunities for Williams. Felipe Massa and Valtteri Bottas had locked out the second row of the grid, rocketed off the line at the start and held the might of Mercedes at bay for over a third of the 52-lap race. Yet, an afternoon that had promised so much ended in obscurity, with the two cars scrabbling across the line a distant fourth and fifth, after a dramatic race. It could have been so much better - a third straight podium looked certain had the rain stayed away, a double podium finish also very likely. But the question is - could Williams have won the British Grand Prix? Mercedes had locked out the front row in qualifying and probably nobody, Williams included, held out much hope that the dominance of the Silver Arrows could be overturned. But once Felipe Massa rocketed off the line into the lead and Valtteri Bottas took second at the safety car restart, the prospect of a Williams upset suddenly seemed all the more real. 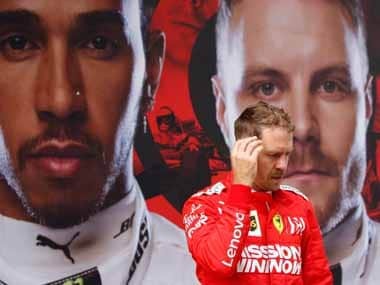 The team hadn’t won a race since Pastor Maldonado’s win in the Spanish Grand Prix in 2012 and hadn’t had a one-two finish since Ralf Schumacher led Juan Pablo Montoya across the line in the 2003 French Grand Prix. 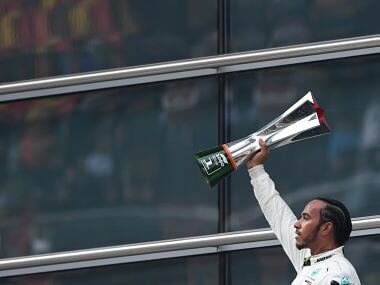 But it wasn’t Massa who could have won them the race on Sunday, it was Bottas. Massa wasn’t happy with his car’s balance on the softer medium compound tyre and as soon as Bottas moved up into second, he began reeling the Brazilian in. They engaged in a duel for the lead. 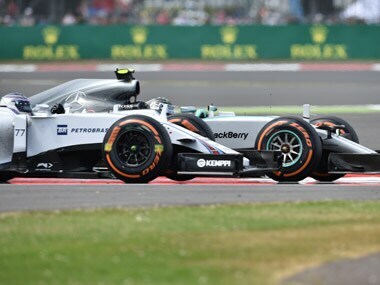 Williams initially asked them to hold position and pull away from the Mercedes pair together but when they saw Bottas was clearly faster, allowed them to race. But it was too little too late. Massa lost the lead at the first round of stops. Hamilton had come in a lap earlier and used his fresh rubber and a clear track to unleash the speed of his Mercedes. Hamilton’s pace combined with a slower stop for the Brazilian cost him the lead and Williams any chance of a win. Track position is vital at Silverstone. The fast, sweeping nature of its corners means it’s very difficult for a car behind to get close enough to the one in front to make a pass. That’s primarily why Williams had been able to keep the faster Mercedes behind them. And it’s also why once in the lead, running on a clear track, in free air and driving a faster car, there was no stopping Hamilton. Massa simply wasn’t quick enough in that opening stint to open up enough of a gap to retain track position over the Mercedes following the first round of stops. But Bottas might have been. 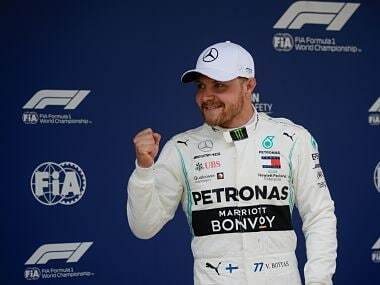 Bottas estimated he could have lapped roughly half a second faster in clear air compared to the pace he was doing stuck behind Massa. It’s all very hypothetical and back-of-the-envelope stuff. But if we apply that half a second gain to his laptimes from the lap he closed up behind Massa to when he would have stopped had he been the lead car, and add in another 1.3 second gain, which is how much more faster Bottas was on his lap into the pits than Massa was on his in-lap, it puts Bottas about six seconds clear of his team-mate. In the actual race, Massa emerged from the pits about three seconds behind Hamilton which means had Bottas been leading instead of Massa and able to lap that estimated half-a-second faster in clean air, he would actually have emerged from the pits roughly three seconds ahead of Hamilton. And while the Briton was an average three-tenths of a second per lap quicker than Bottas on the harder tyre in the laps after the stops, would that have been enough to close up to and pass the Williams? Granted, that’s a lot of ifs and, as mentioned, this is a very hypothetical calculation made with the benefit of hindsight, not in the heat of the moment on the pitwall. There’s no guarantee Bottas would have gone half-a-second quicker had he been in clear air and the rain towards the end of the race makes this argument redundant anyway. Scrabbling for grip on a damp track, the Williams would have been no match for the Mercedes even if Bottas had been in the lead. But should the team have been more aggressive in their pursuit of victory? Seeing Massa holding up Bottas, should they have ordered him out of the way? No. That’s simply not how Williams operate. Besides, it would have taken the feel-good veneer off what would have been a hugely popular win. But having said that, and again with the benefit of hindsight, they shouldn’t have held their drivers back from racing each other in the early stages. 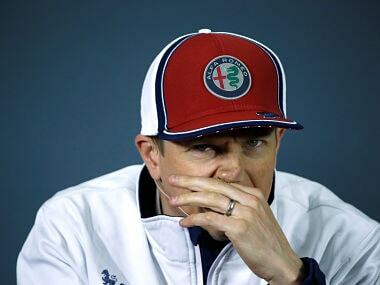 “No one should let anyone by, that’s not racing,” Bottas said. “But of course, it would have been nice to be able to race. “Of course we need to analyse if something could have been better and possibly there is things. But I don’t want to say too much.